A transformational half day event that reaches within to pull out the artist and connect your dancers with themselves, their team and their audiences. Once you have submitted your email, you will receive a link to download the Harmony Informational Packet. Thank you! Please check your inbox for the informational packet. Reach beyond technique and elevate dancers to connect with audiences and get noticed. 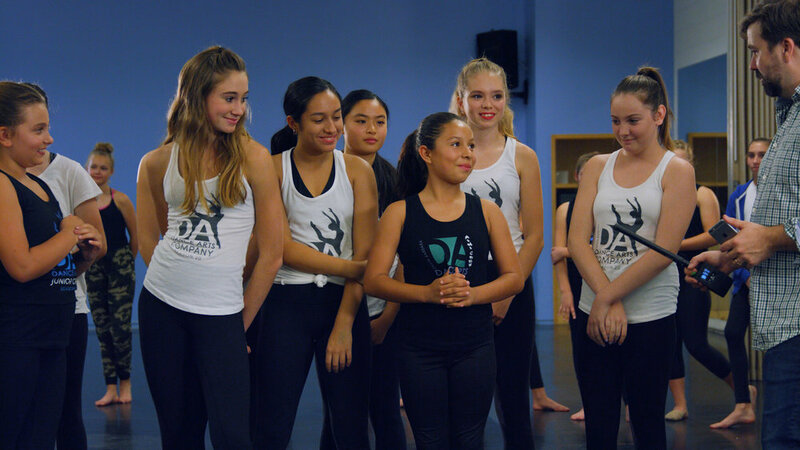 Make time for dancers to share their hearts, connect as a group and feel safe and supported. Motivate dancers to open up, grow closer & build a positive collaborative culture. When it comes to dance, technical instruction, commitment to practice and performance are essential to training a good dancer. But when it comes to developing the greatest dancers, awakening emotional connection is crucial and cannot be forgotten. Dance is an art form. When a dancer takes to the stage their performance can be perfect in technique, but if there’s no emotion the performance leaves the viewer unmoved and dissatisfied. We understand that an emerging culture of disconnection has created many challenges. Young students are losing key opportunities to connect with one another and are unaware of how important it is to connect within themselves. The dancer that turns heads and gets noticed by directors will be the one who is not only well trained in technique but has been inspired and mentored on how to connect emotionally. The Harmony experience is a transformational half day event that reaches within to pull out the artist and connect your dancers to themselves, their team and their audiences. Through team building exercises, games, interviews and dance routines that you choose, our goal is to create a fun, safe environment where your students can freely express themselves, share their hearts and connect with themselves and one another. For this event we not only facilitate all of the activities, we capture everything on film. That means this unforgettable experience of emotional connection will be professionally produced on high-quality video and available to every student as an everlasting memory. Over 60 studios from across the world have already participated in this unifying event. Through our extensive experience we understand that connection starts with communication. We are experts at creating an environment for your dancers and teachers to open up, connect, grow closer and build the positive culture necessary for great dancers to flourish. Here’s how it works: 1. Click on the registration form, fill it out and submit it. You will receive a link to a packet with more details and information. 2. Make a deposit to reserve your spot. 3. Talk with us to set the date of your event. Space is limited so the 2018 Harmony experience will be available to only 20 studios. A great dancer is the dancer who is emotionally connected and in harmony with themselves and their surroundings. If technical training and competition are all a dance studio ever offers it won’t be enough to foster the artist within the dancer. Sign up today for Harmony and offer your dancers something extraordinary that will inspire them to emotionally connect and set them on the path to developing the artist within. After years of experience, we are experts at guiding your dancers through an unforgettable and unifying experience. Every moment is captured on film. This event will be professionally edited, produced on high-quality video and available to every dancer as an everlasting memory. Over 60 studios from across the world have transformed through experiencing Harmony. Forget what you know about dance studios and watch their stories of encouragement and inspiration. Inspiring emotional conection within a dancer is crucial to their development. If technical training and competition are all a dance studio ever offers it won’t be enough. Loss of morale and competition burnout are too often the result when connections aren’t being made. Students can begin to feel detached and unsupported Don’t let disconnection stand in the way of your studio’s success. Sign up today for Harmony and offer your dancers something extraordinary that will inspire them to emotionally connect and set them on the path to developing the artist within. Click the “Register Now” button and submit the form. You will receive a packet with more information. Make a deposit to reserve your spot. Submit 3 preferred dates for your Harmony event. Talk with us to set the date of your event. We will answer all questions and solidify the details for your big day.